Synergy began providing outsourced member support for this program July of 2014. Prior to Synergy, the Client maintained dedicated internal resources to respond to their member inquiries from their web promotions for these products and services. At the program inception, three applications along with eight supporting documents were needed to support each inquiry. This process was extremely cumbersome and often times could lead to CSR and customer confusion and increased the likelihood of misinformation being conveyed. In addition to the impact to quality, the process was labor intensive and handle times per inquiry were very high. Because of the multi-step service process, CSRs required additional training and staffing for the program required CSRs with an advanced skill set due to the complexity of navigating the various applications and supporting documents. At inception, the Average Handle Time was 12.50. Additionally, the numerous tools provided for the CSRs were static documents that became outdated quickly. We identified an immediate need for the consolidation and dynamic automation of information and access points. We conducted a thorough evaluation of all service points to make process improvement recommendations to reduce AHT and improve CSR efficiency. 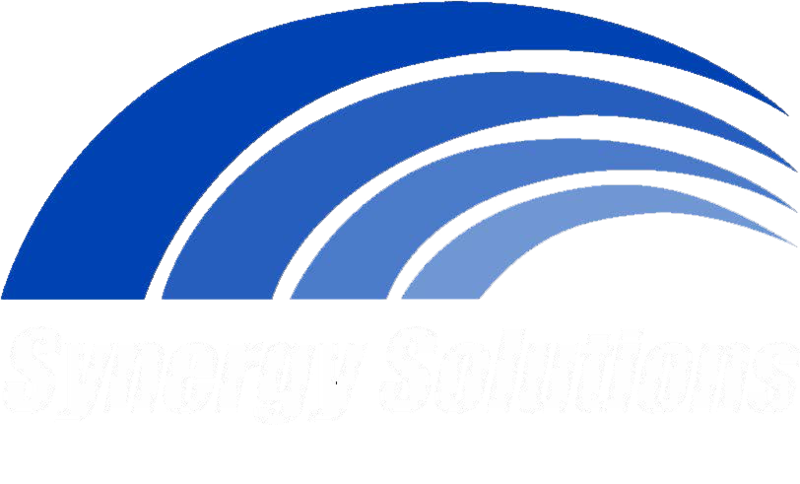 Synergy provided a business impact analysis for consolidating access and supporting materials into a single point platform as well as guidance on how to customize this Client hosted platform for peak efficiency. Below are the phases that we took to increase efficiency, reduce AHT, improve quality and customer satisfaction and reduce our Client’s overall cost per contact. We evaluated the top reasons for member inquiry and determined that over 65% of all inquiries were related to a specific offer. Within the offer we further identified 5 key responses that would apply to approximately 95% of the inquiries. This allowed us to create responses that were “canned” but also allowed for flexibility to modify and massage the response to be applicable to the member. For all remaining responses we were able to categorize them into groups and create three main category types with sub-categories to address other inquiries. This allowed our team to still provide semi-customized responses without the time consuming need of having to custom develop each response individually. 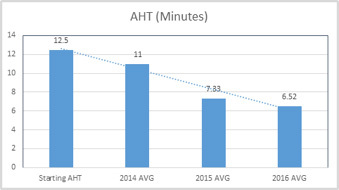 Not only did this change reduce AHT, it allowed us to improve quality through consistency and ability to navigate through the correct response more efficiently. We worked with the client’s web vendor as their liaison to lead the development of their support platform. During this step we took the supporting resources and migrated them to a single point platform with various tools that allow the CSR to conduct research. This program supports members from over 37 plans and at times up to 200 distinct local and national offers that are offered to specifically targeted members, so the combination of eligibility for the offer varied from one inquiry to the next. We collaborated with client to design a tool that allows the CSR to enter the applicable plan and view only see the offers available for that specific member. Previously, this refinement process was accomplished using a complex excel document. Additionally, in this single point platform we incorporated other tools that help expedite locating information pertaining to the customer needs such as rerouting insurance questions, plan information, response housing system, and responses for other needs. We expanded on Step 2 and designed a method to modify responses in real time to reflect any updates or expirations to offers. This allows us to ensure that the responses to members are accurate and relevant. In the past this was maintained through a word document which was pushed to the CSR with each iteration. The new process ensures that the CSR can convey information with real-time accuracy. We determined that although 80% of questions were of a general nature, the remaining 20% of the inquiries were extremely unique and required a level of research that expanded beyond the skill set of a Tier 1 CSR. We created a new skill set for the Tier 2 CSR who is capable of supporting the team for escalations and resolution of complex scenarios. By adding this additional layer of educated support, we were able to lower AHT, improve First Call Resolution and provide an overall better customer experience. Overall, in just 24 months we have improved quality of responses, reduced AHT from 12.50 minutes to 6.50 minutes, simplified the learning curve for new CSRs, and reduced the required duration of CSR program training by 50%. We have exceeded the client expectations through this partnership not only through providing outstanding support for their members but also by decreasing the operating costs for this program.